Finding good beer in this town has probably never been so easy. 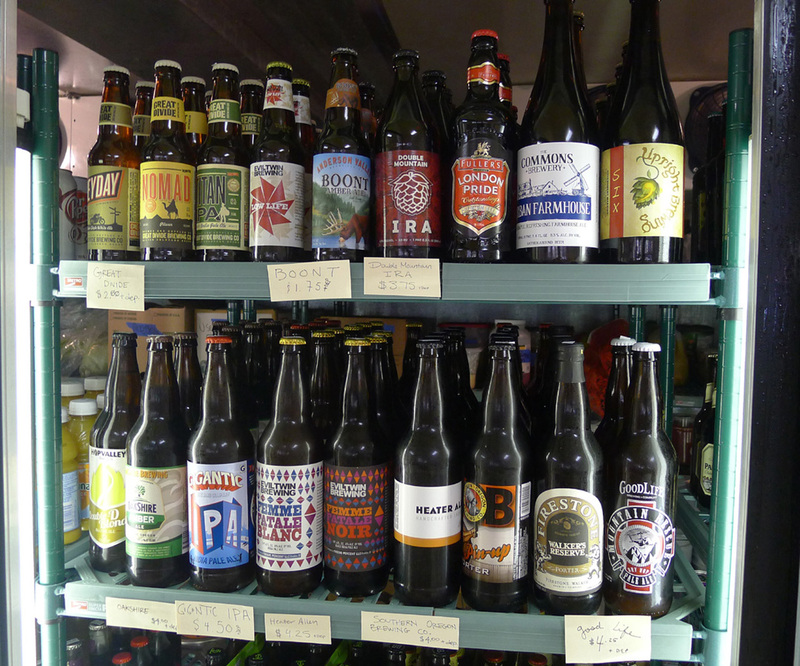 You can roll into a convenience store and find a decent selection of craft beer these days. 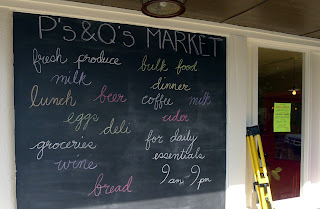 So I probably shouldn't have been surprised when I stopped at P's and Q's Market on Northeast Dekum. They are flexing the craft beer muscle. P's and Q's is located a couple of blocks east of Breakside Brewing and the Oregon Public House. It's an up-and-coming area, but there are no stores anywhere close. Of course, up until recently, no one in their right mind would have wanted to open a store in the area. Things are changing, though, as the Dekum strip transitions. Condos and gentrification are on the way, you suspect. But never mind. The building, previously occupied by a church, a restaurant and a TV repair shop, was in serious disrepair when owners Emily Anderson and Paul Davis took over. 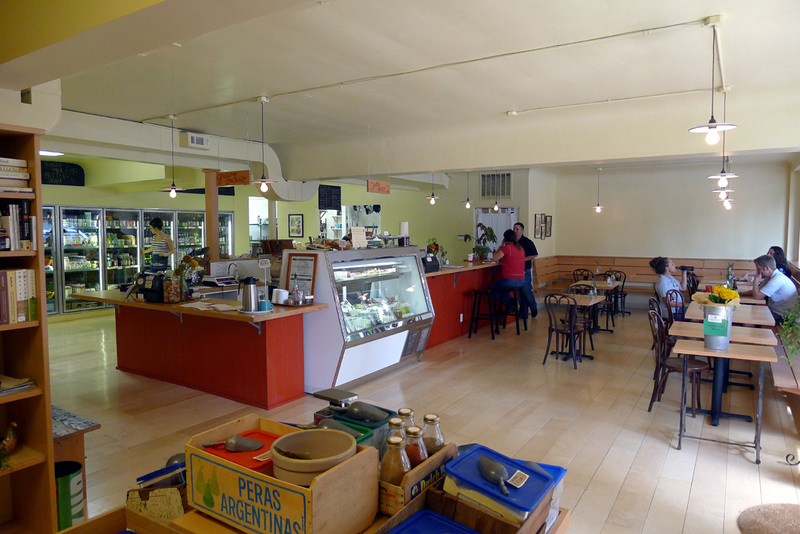 They raised money from the neighborhood and friends via Kickstarter and renovated the place. The result of their effort is an appealing, comfortable space. What you need to know about P's and Q's is the place is not a pub or bar. It isn't even a bottleshop. It's a restaurant serving mostly sandwiches and salads, with an attached market that features fresh local produce and meats, as well as bulk and standard foods. 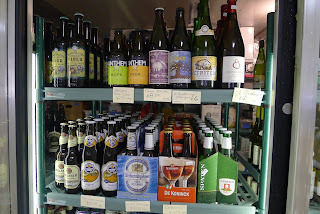 They also have three taps and a nice selection of bottles for the allotted space. Emily said Paul is responsible for the beer. "He's a guru," she offered. They were pouring Occidental Pilsner, Stone IPA and a cider when I stopped in. 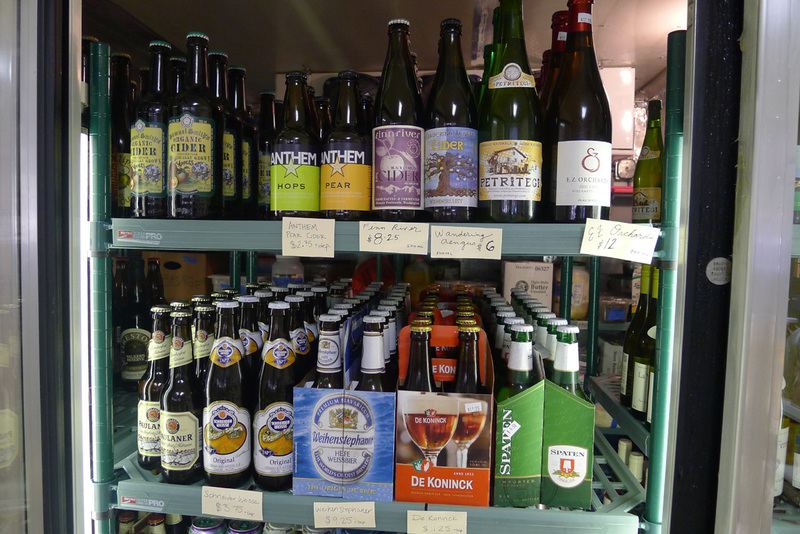 They don't have a lot of space for bottles, but they make up for it with a good selection of crafts and imports. Rainier pounders, too. P's and Q's is another great example of how small businesses continue to find new ways to use craft beer as a leverage point. There was a time when a place like this would not have bothered to carry bottled beer in any quantity. Draft beer would have been out of the question. Those days are clearly gone. If you decide to head up, over or down to P's and Q's for lunch, dinner or just a beer (they also have wine), be advised you cannot currently drink at the tables on the sidewalk out front. They've applied for a sidewalk cafe liquor license and will likely have it soon...just not yet. Inside is quite nice, anyway. Great story. Nothing in my experience directly compares. The crazy thing is, this kind of thing is happening all over the place in Portland. They say we are a "mature craft beer market." I guess that explains it...but never mind. Similar but different, I understand two growler filling stations have opened in Salem, Ore.
.. Probably not possible in the majority of US States.